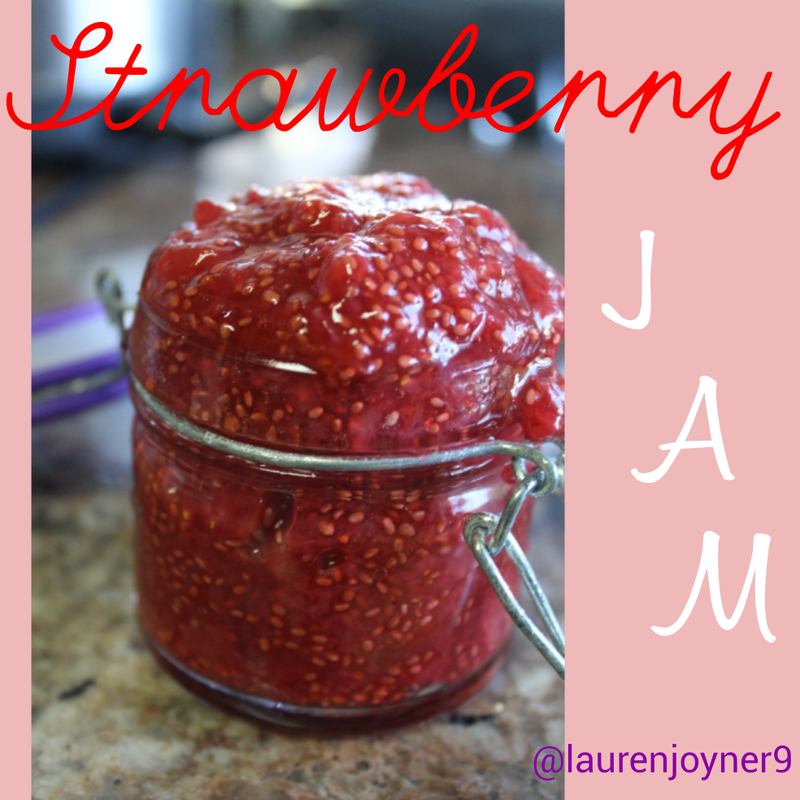 Wash strawberries and cut the tops off them. 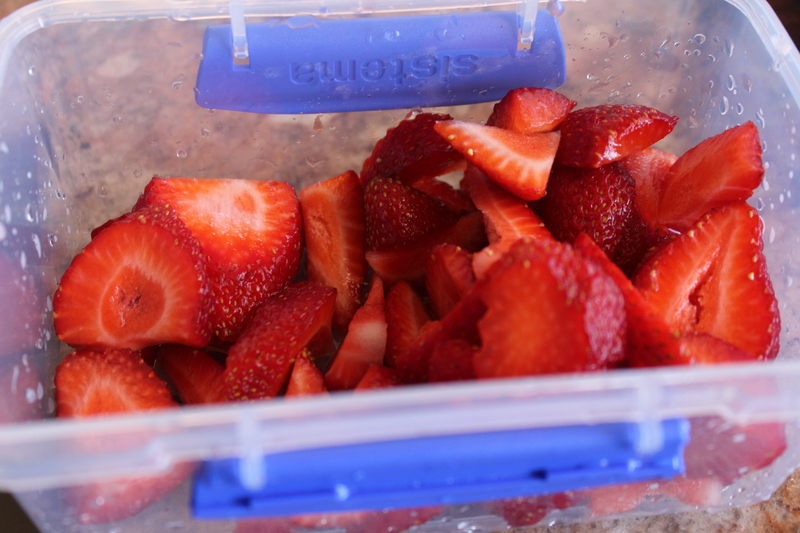 Cut the strawberries into small pieces. 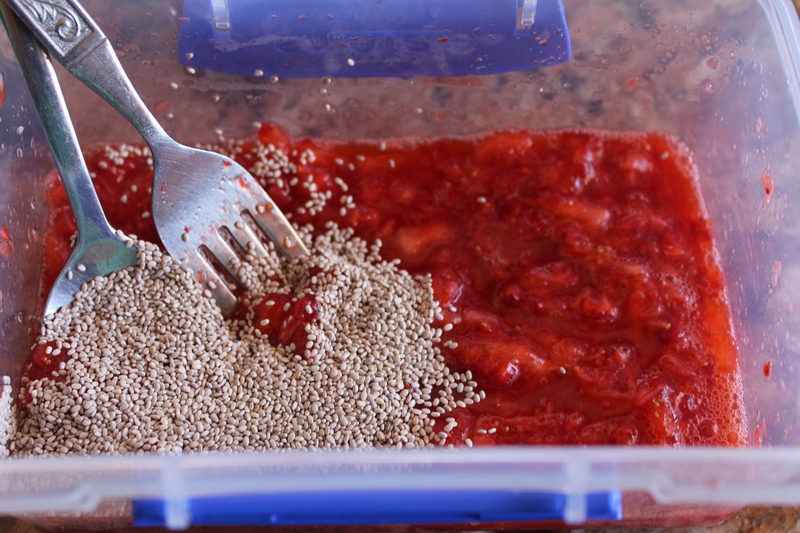 Mash the strawberry chucks up by using a fork, or a food processor. Place in the refrigerator to set for approximately 3 hours.